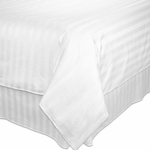 White Dobby Micro-Check Bed Skirts featuring a low-wrinkle T-250 cotton / polyester blended fabric for fast and easy bed setups. 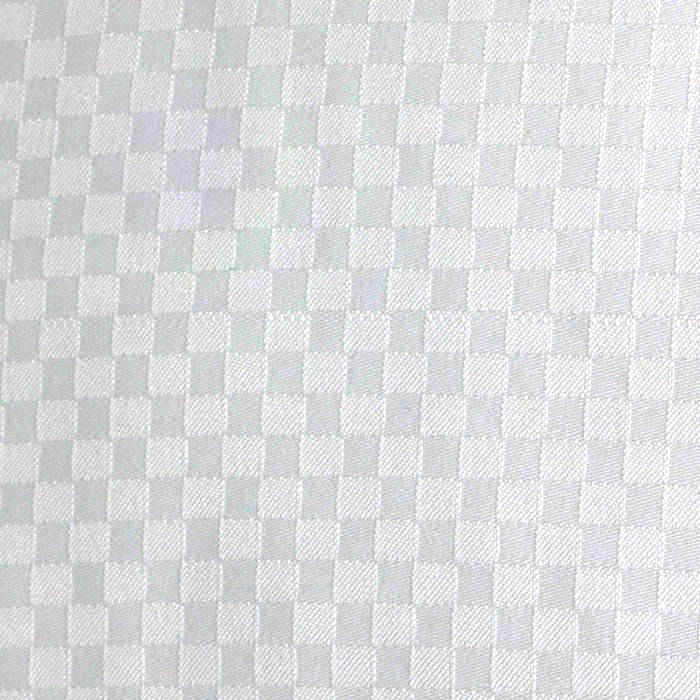 The subtle Tone-on-Tone checker board pattern sides have a 15" drop that is tailored with center and corner pleats for added elegance. 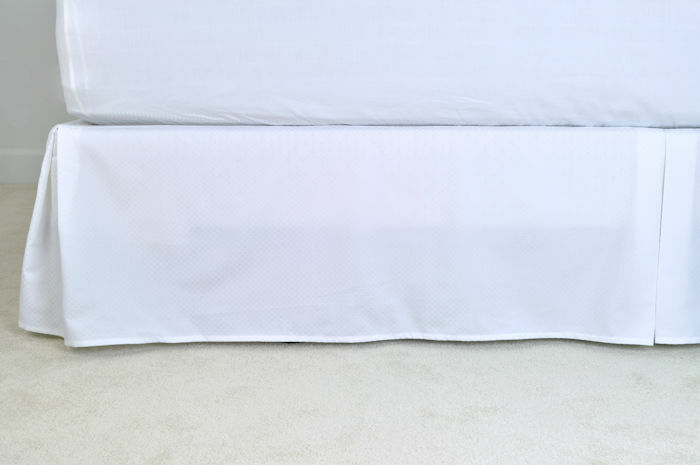 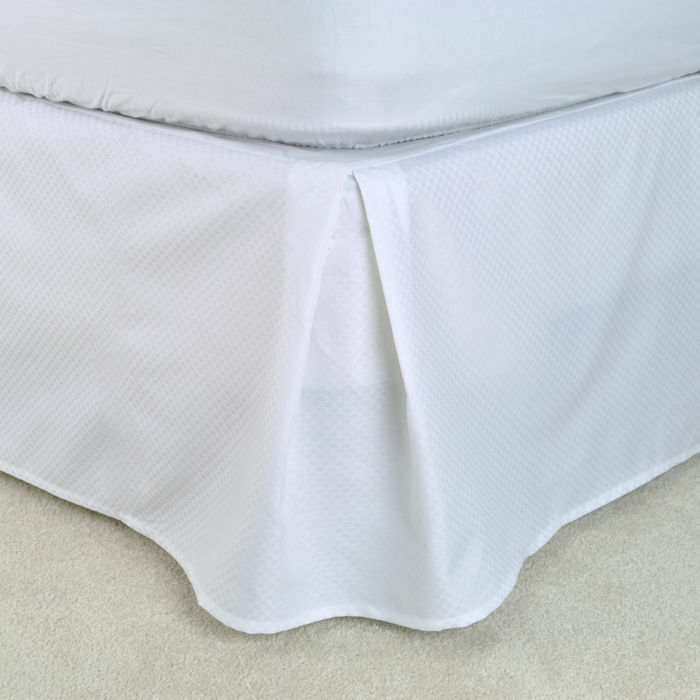 The low-wrinkle cotton / polyester micro-check fabric is paired with a 100% polyester platform for a durable, easy to maintain bed skirt option that launders wonderfully and is fast drying for time and energy savings. 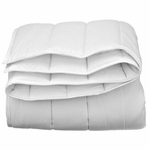 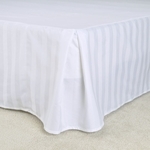 Purchase T250 white Micro-Check Bed-Skirts wholesale by the case with Free Shipping on all orders.